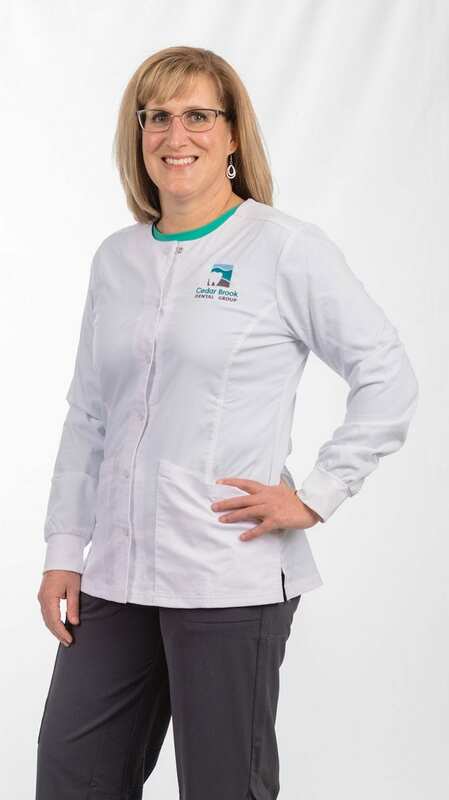 Dr. Katy Clapham was born and raised in Clear Lake, Iowa. She attended Wartburg College in Waverly, IA receiving a BA in Biology in 2006. She received her D.D.S. degree from the University of Iowa College of Dentistry in 2009. Dr. Clapham joined Hennessey Family Dentistry (now Cedar Brook Dental Group) in July 2009 and quickly fell in the love with Cedar Falls. Her husband, Nate, works in University Advancement at UNI and both feel incredibly fortunate to be a part of the friendly and welcoming Cedar Falls and UNI communities. 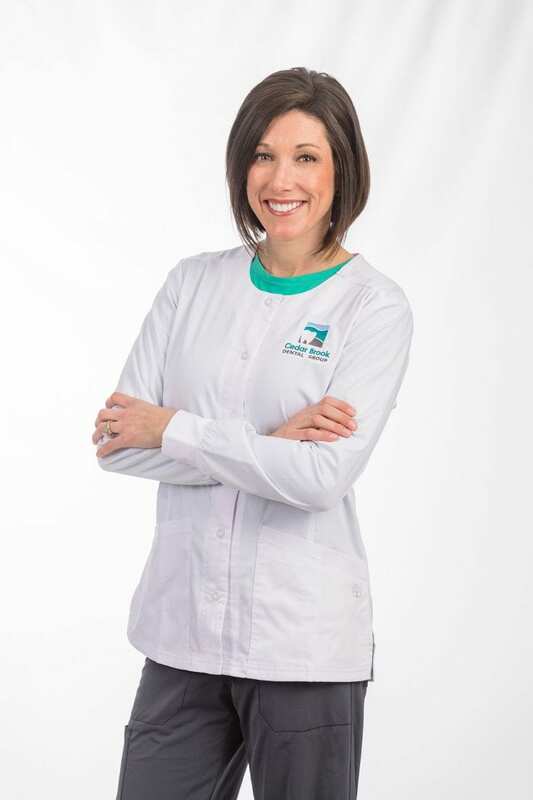 Dr. Clapham is currently a member of the American Dental Association, the Iowa Dental Association and the Waterloo District Association, where she was most recently President. She enjoys volunteering through programs such as Give Kids A Smile, Iowa Mission of Mercy (IMOM) and the Donated Dental Services program. Dr. Clapham is committed to continual training in the dental field and attends multiple continuing education courses every year to stay up-to-date with the latest materials and techniques. Outside of the office, Dr. Clapham enjoys chasing her very active three children, playing piano and going to events at UNI with her family. Go Panthers! Dr. Jamie Petrie was born and raised in Cedar Falls, Iowa. She attended North Dakota State University, where she competed in Track and Field, and graduated with a BA in Biology in 2003. She received her Doctor of Dental Surgery degree from the University of Iowa College of Dentistry in 2008. She practiced her first two years at Peoples Community Health Clinic in Waterloo, IA. She then moved to Columbus, Ohio, where her husband was completing his medical residency training in Ophthalmology, at which time she entered private practice dentistry for four years. In 2014, Dr. Petrie and her husband moved their family back to Cedar Falls to plant their family roots and joined her father at Nemmers & Petrie Family Dental, before merging her practice in with Cedar Brook Dental Group. She is currently a member of the American Dental Association, the Iowa Dental Association, and the Waterloo District Association. 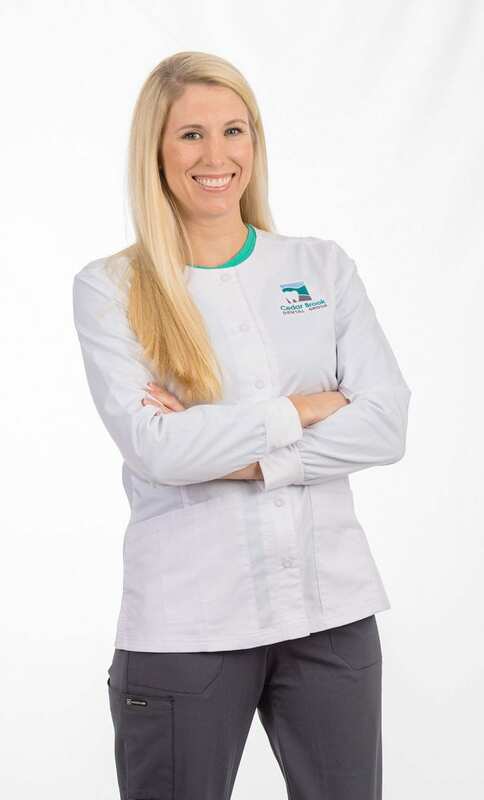 She is a dedicated dentist providing quality dental care to her patients, and attends hundreds of hours of continuing education to stay up to date with new technology and techniques. Dr. Petrie is thrilled to be raising her family in the same community that she was blessed to be raised in. She and her husband Tom, who is an Ophthalmologist with Cedar Valley Eye Care, have two daughters and one son. She enjoys spending her free time with her family, running, exercising, being outdoors, and cheering on the Panthers! Dr. Anne Hennessey was raised in Sumner, IA. She attended the University of Iowa and received her BS in Biology in 1989 and her DDS degree from the College of Dentistry in 1993. She purchased her practice in Cedar Falls, Iowa in the Spring of 1995. The office was built and she moved the practice to its current location in 2003. Dr. Hennessey is a member of the American Dental Association, the Iowa Dental Association and the Waterloo District Association. She served for 12 years on the Board of Delta Dental of Iowa. She volunteers through many programs such as Give Kids A Smile, Iowa Mission of Mercy (IMOM) and the Donated Dental Services program. She is also one of the team dentists for the UNI Panthers. You can usually catch Dr. Hennessey running or biking on the many trails throughout the community. She also enjoys reading, traveling and spending time with her family and friends. Dr Hennessey and her family have resided in the Cedar Valley for many years and both of her daughters attended Cedar Falls High school. They enjoy being active participants in the Cedar Valley community. Throughout her years of practicing, she has always stayed abreast of the current trends in dentistry and strives to provide the best treatment for her patients.